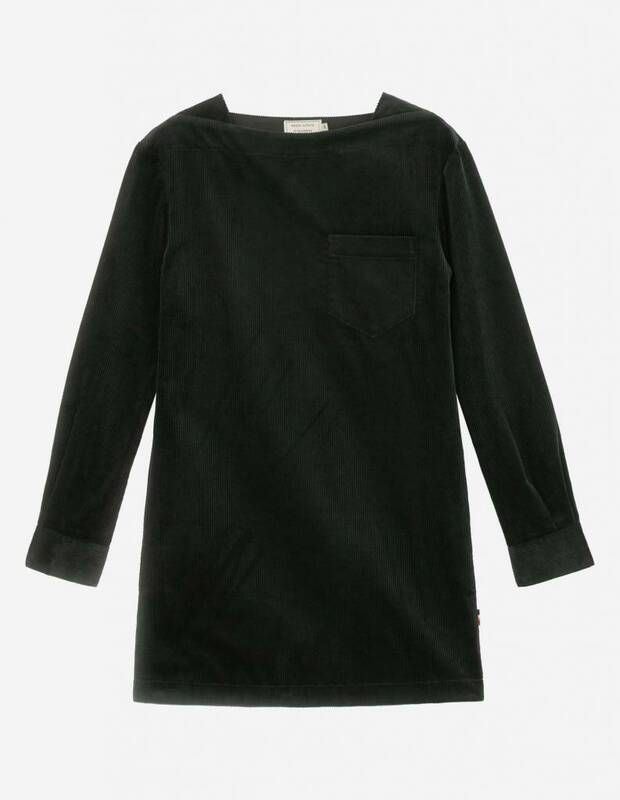 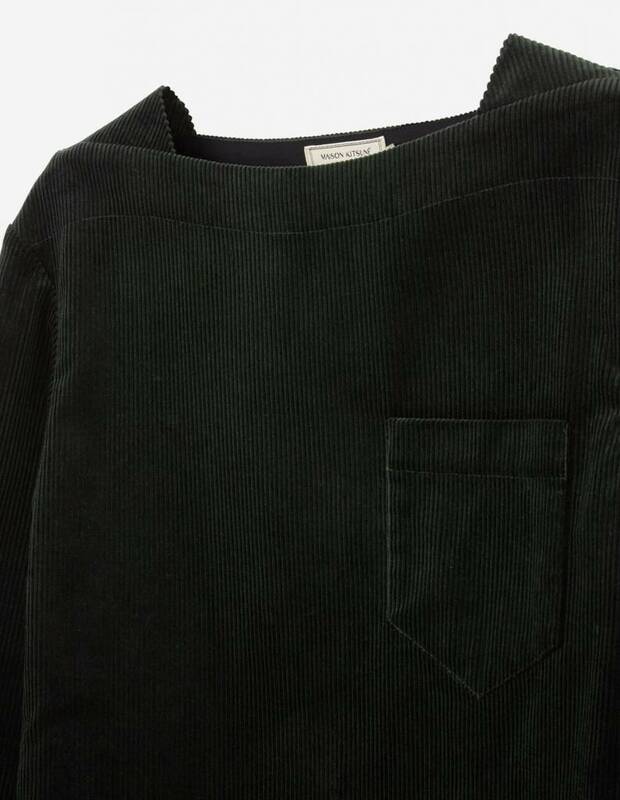 This MAISON KITSUNE corduroy dress is a casual version of the basic. 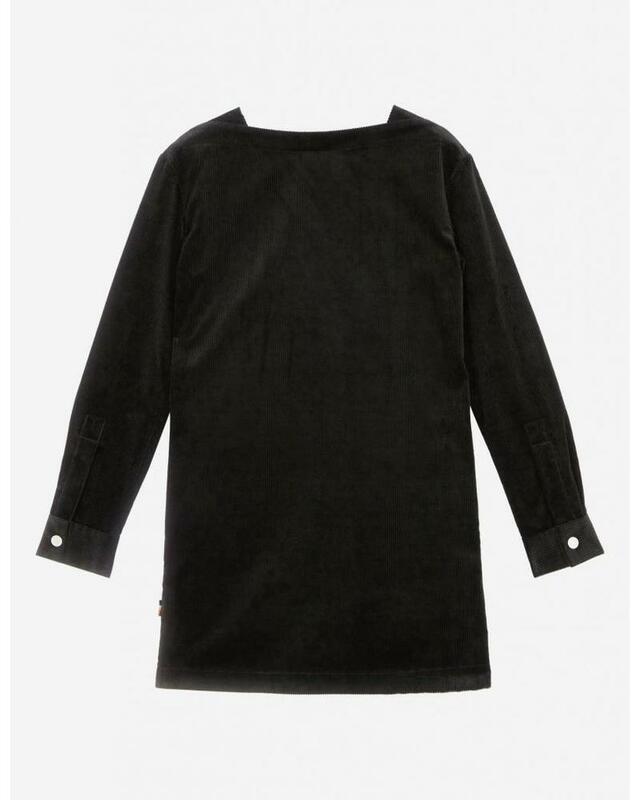 It is made with a boat neck, long sleeves with buttoned cuffs, a patch pocket on the chest, and welt pockets on the sides. 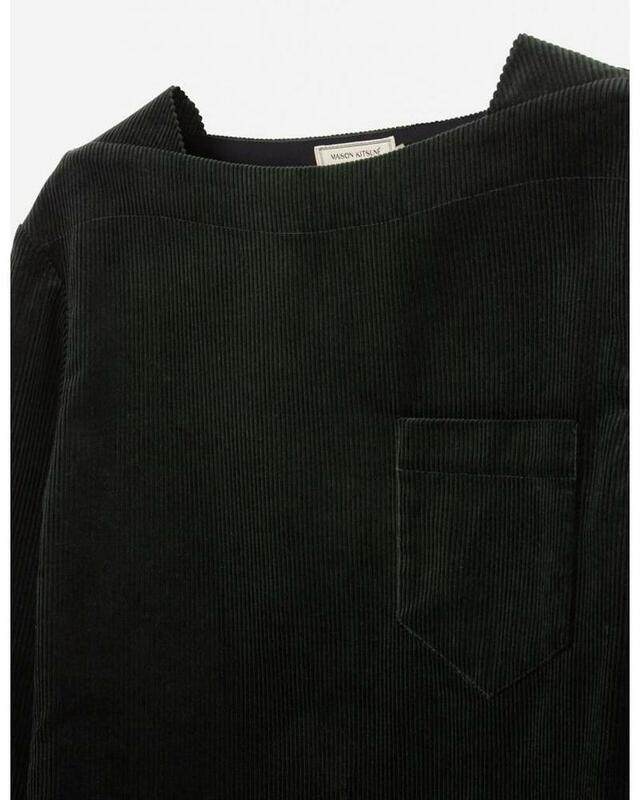 Straight cut and side vents.